Track and manage all of your team’s sales activities without making it a full-time job. See combined sales activity from everyone on your team. 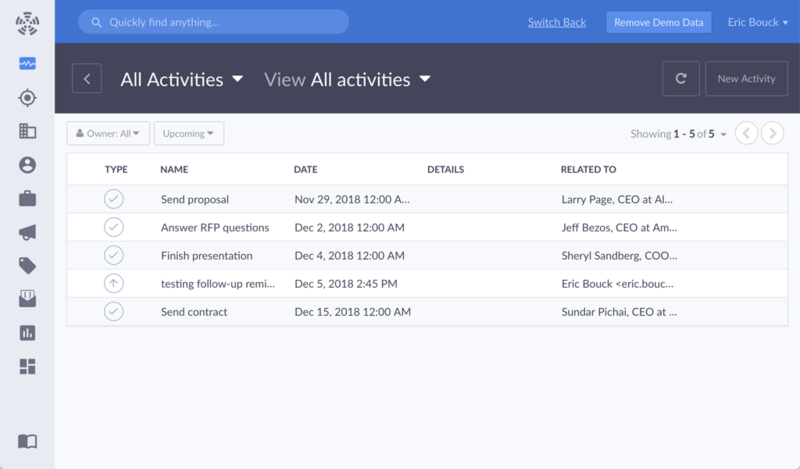 Track tasks and activities, assign follow-ups, and more. Propeller keeps track of everything without manual logging or data entry. 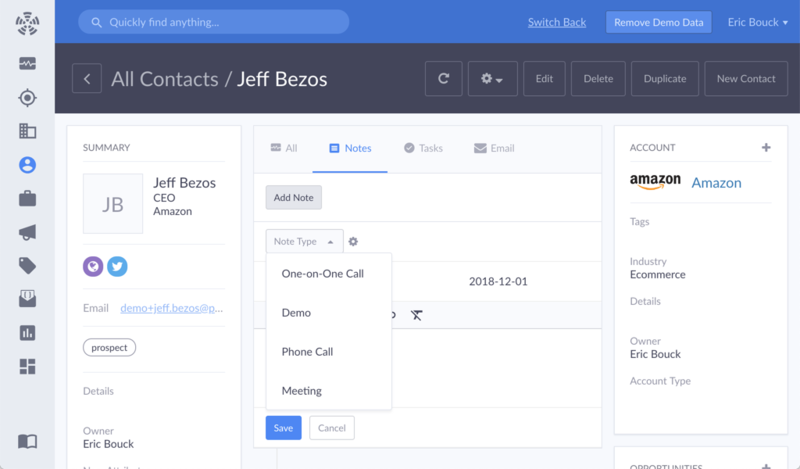 Quickly and easily add tasks or notes from your inbox. Create and assign tasks to other team members with just a few clicks and never miss a beat--or an opportunity. See all sales activity for yourself or the team. 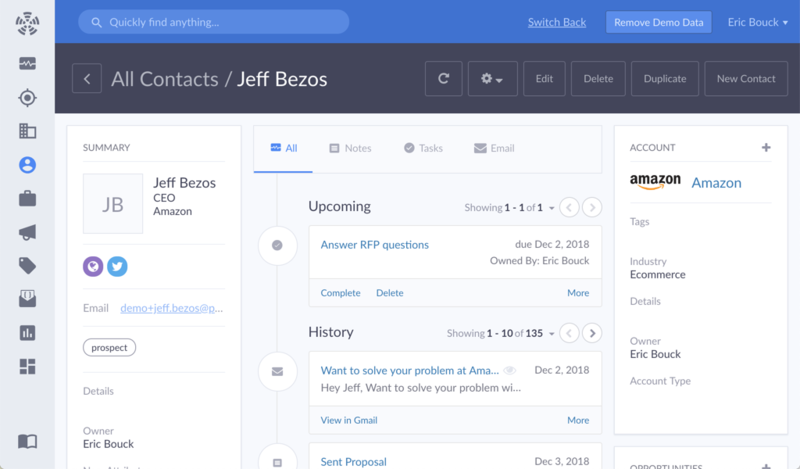 Look at historical tasks and follow-ups or see what’s to come for every account you’re working. Whether you’re a team of 1 or 100, you can see what’s happening and needs to happen all from one view. Every sales process is unique and every team needs the power to define terminology, stages, and tasks throughout the life of a deal. Propeller makes it simple to create and manage custom task types for your sales cycle.